By Eleanor, July 26, 2012 in Can I have ___? In the curry recipes at the back of ISWF it says to use curry paste. When looking at ingredients there are numerous suspect looking ingredients. Am I okay to use this or is the a very specific variety I should be looking for? I've never used curry pastes because I've never found any without ingredients I did not want. I am sure they are out there because we can trust Melissa Joulwan on these things. Personally, I make my own curry pastes to the extent I need them... Dried curry powder with oil or melted ghee, minced garlic, minced ginger and you've got curry paste. Mae Ploy brand. As far as I can tell from the labels they are clean. You can get them from Amazon if you can't find them in stores near you. The Mae Ploy brand is also what I use. I find them at Asian grocery stores They are quite the bargain as well, I think I pay about $1.49 tub, and they have excellent flavor. Mae Ploy here, too. Cheap and delicious! Second the above. We use Thai Kitchen's red and green curry pastes. I was wondering about Thai Kitchen's curry paste. For some reason, I was thinking I saw sugar or something non-compliant in the ingredients of the ones I have looked at. Tomorrow, will make the trip to find the answer. Thai Kitchen curry pastes at my stores are not compliant, it contains sugar of some sort (can't remember just now). I went to my favorite health food store. They carry Thai Kitchen. It wasn't sugar that I saw on the list, it was spices. I've read that companies often use the word spices to hide things like MSG. I don't trust and won't buy anything that says spices in their ingredients list. Found the ones NomNomPaleo mentions on Amazon. Going that route. 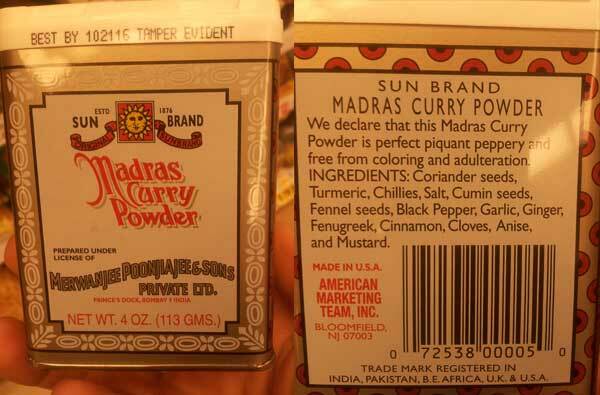 I do get a nice curry powder from there that is compliant. I used Thai Kitchen's green curry paste last night (day 1!). It's really good. I've read that companies often use the word spices to hide things like MSG. 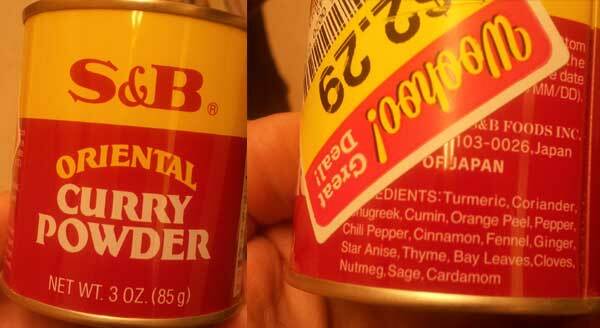 I don't trust and won't buy anything that says spices in their ingredients list. Section h(5) at: http://www.accessdata.fda.gov/scripts/cdrh/cfdocs/cfcfr/cfrsearch.cfm?fr=101.22 with further supporting information about what can be declared as spices. If you want to take the conspiracy theories to the point that producers lie about their content at the risk of FDA testing and fines, that's another story. I agree with you about FDA dysfunction. Even as an OCA member, distrustful of corporate food, and knowing that Thai Kitchen is owned by McCormick, I have to suggest that "often" exceeds in its adverb slot. With the number of factory foods we kick to the curb, carving out those where the producer chooses to protect their proprietary blends is good for you but probably not the advice for the community as a whole. It is restriction with uncertain basis, where the bulk of what we rely on is scientific. Thanks for the info sleeve. So far, thru 2 whole30's and now, I have manged to use only my curry powder and single herbs and spices to make my own recipes. Tend to like to do my own creating anywho. I get that companies like to protect their proprietary blends, yet the larger the company, the more they tend to like to cut corners for their bottom line. The FDA has way to many irons in the fire and not sure they would test unless they had a complaint. It's not worth it to me to take the chance during my whole30, as I do know from past history that MSG, HVP, and maltodextrin cause nastiness for me, headaches, body aches, lethargy. Maybe after a whole30 and do a trial with it to see what happens. I've been able to source everything to make curry paste but the shrimp paste. Savory Spice Shop makes a powder and discloses all their lurking spice fiends. Spanish paprika, lemon grass, salt, shallots, galangal, cumin, coriander, Chinese red pepper, red Thai chiles, Lampong peppercorns, cilantro, garlic, makrut lime leaves, California basil and spearmint. I'll try making red curry from just their powder and coconut milk. I've been meaning to do that for awhile. i used the Thai Curry paste -yellow tonight and the last ingredient is soy oil? I assume that this is not allowed as a product then? Curry powder not paste but figured I'd add them to this thread just because I like posting pictures. I love that packaging on the Sun Brand curry powder!